Habemus Boda deck celebrating the royal wedding of Prince Felipe and Princess Letizia of Spain on 22 May 2004 with cartoons by Sir Cámara. 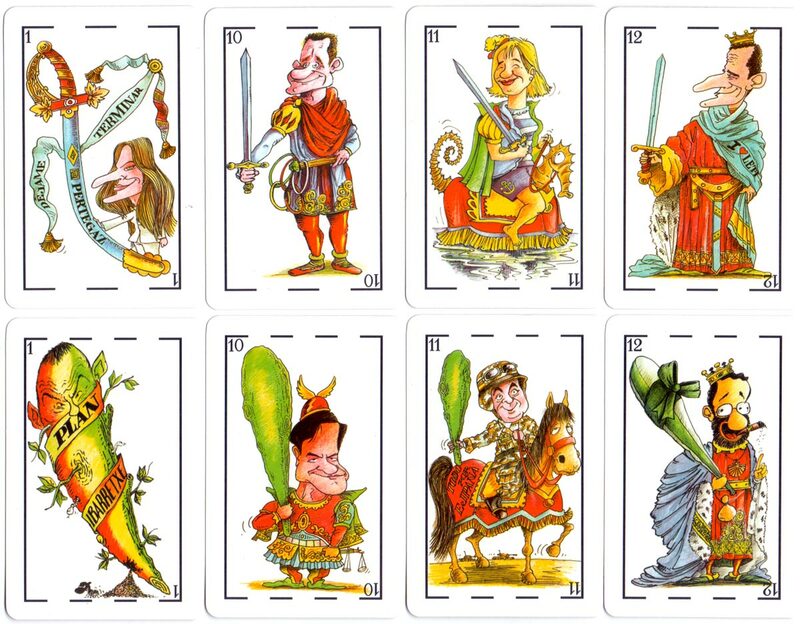 The four aces and 12 court cards feature satirical caricatures of the royal family and politicians from various parties. This is the 2nd edition with advertising backs for Ron Brugal, manufactured by Heraclio Fournier for interviú magazine. The actual ceremony was watched by 25 million people in Spain alone, with many more tuning in to view the nuptials from home. 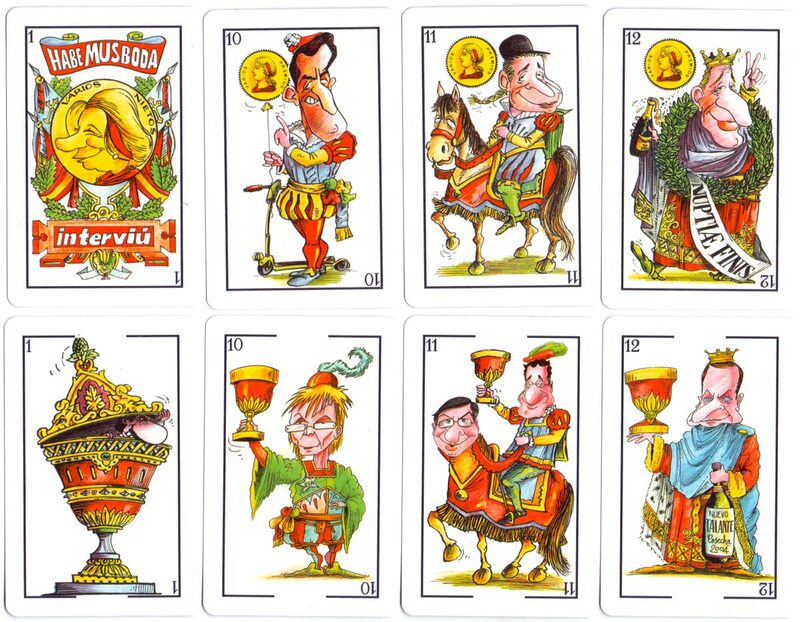 Above: “Habemus Boda” deck celebrating the royal wedding of Prince Felipe and Princess Letizia of Spain on 22 May 2004 with cartoons by Sir Cámara. 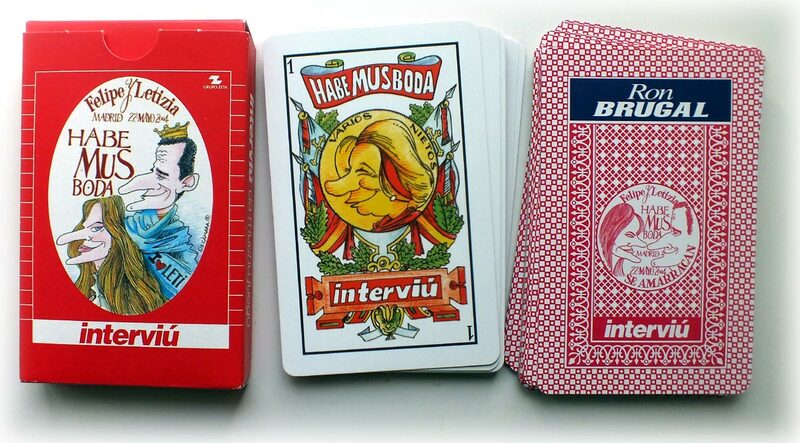 2nd edition with advertising backs for Ron Brugal, 40 cards in box manufactured by Heraclio Fournier for interviú magazine.